Earlier this year, the City of Madison issued a request for proposals to develop the vacant city-owned Truman Olson property, listing goals like connecting Cedar Street to Appleton Road, increasing the tax base, developing workforce housing and keeping a grocery store in the area. Two potential developers, Welton Enterprises and a Hovde Properties/SSM Health team, responded to the RFP, and recently asked for a hold on proceedings after deciding to combine their proposals for the site. Both of those original proposals called for a grocery store, with Hovde/SSM proposing a 40,000-square-foot store and Welton planning a 25,000-square-foot space. Welton also owns the Pick ‘n Save next door at 1312 S. Park St. 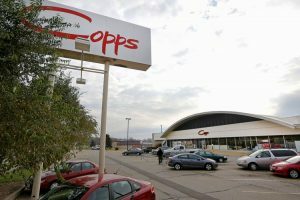 The fact that both teams separately included a grocery store in their original proposals indicates that they are taking that RFP goal seriously, said Dan Rolfs, community development project manager for the city. Read the full article.